Russell Brown’s stunning vegetarian starter recipe is simple to prepare but, thanks to a few sophisticated techniques and ingredients, will taste like you’ve spent hours in the kitchen. 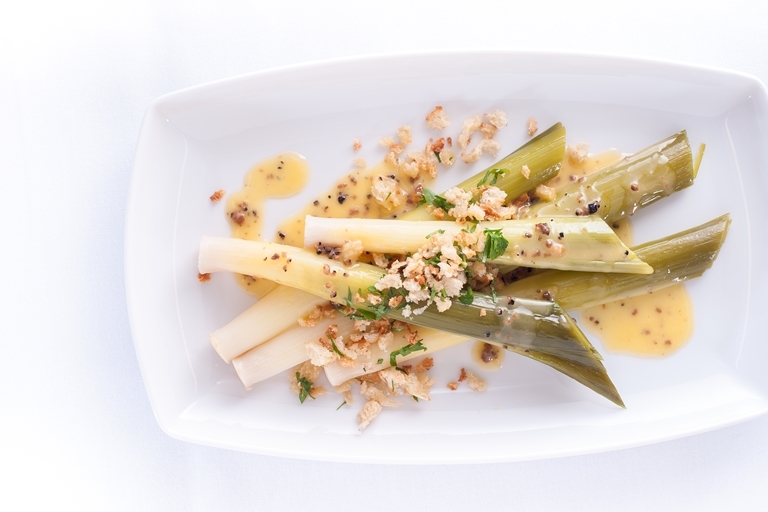 Cooking the leeks sous vide results in a wonderful, tender texture which contrasts perfectly with the crisp crunch of the garlic crumb, with the creamy truffle sauce adding an extra touch of luxury. If possible, prepare the vegetable stock a day in advance to give it plenty of time to infuse.